Old fashioned charm and atmosphere is wonderful. Cold, draughts and high heating costs are not. Contura i4 transforms an old fireplace into an efficient and environmentally sound heat source, without losing its personality. Choose between a modern or a more classic design. The fire can be clearly seen in both models and lights up the entire room. 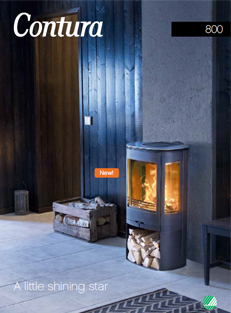 Contura i4 is designed for burning wood or smokeless fuel and it is easy to switch between fuel types. 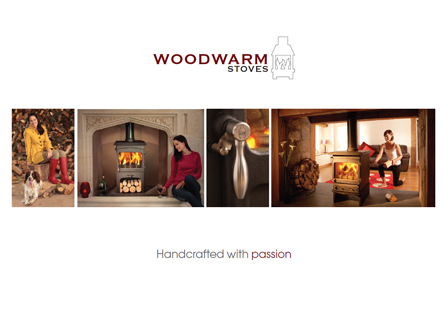 The insert is designed for installation in Builders Opening or to build a whole new fireplace. No matter which model you choose, it is your imagination that sets the limits! 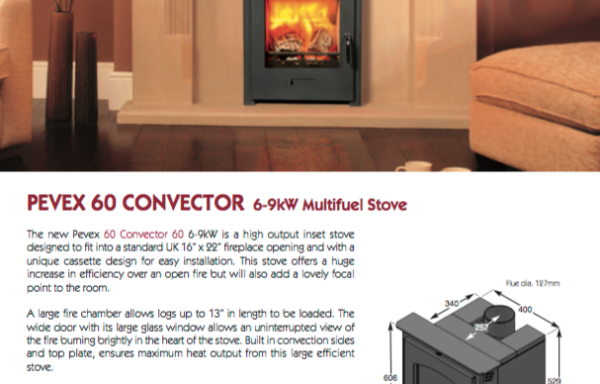 Contura is Sweden’s leading stove manufacturer. If there is one thing we Swedes understand, it is the cold and how to protect ourselves against it. We always strive to improve heating e ciency so that we can save as much energy as possible. 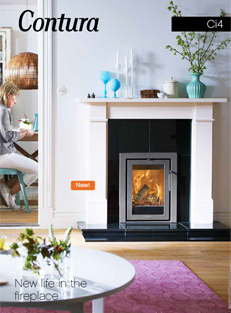 Contura i4 has been developed in that tradition, with Swedish concern for both design and technology. Contura i4 is designed for Builders Opening, which makes it ideal to install in older houses during renovation. A high positioned damper and handle make it easy to manage the re. The cast iron door is solid and easy to open and close. The ash pan has a large capacity and is easy to empty. The e cient rebox with convection heating means that you get a lot of heat out of the fuel, whether you burn wood or smokeless fuel.